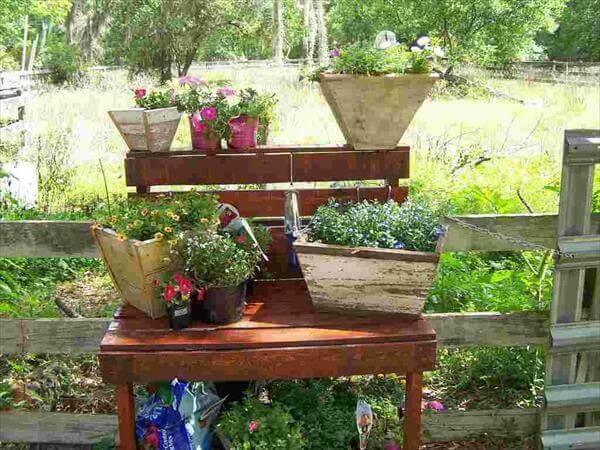 Grab this perfect utility for garden potting station. 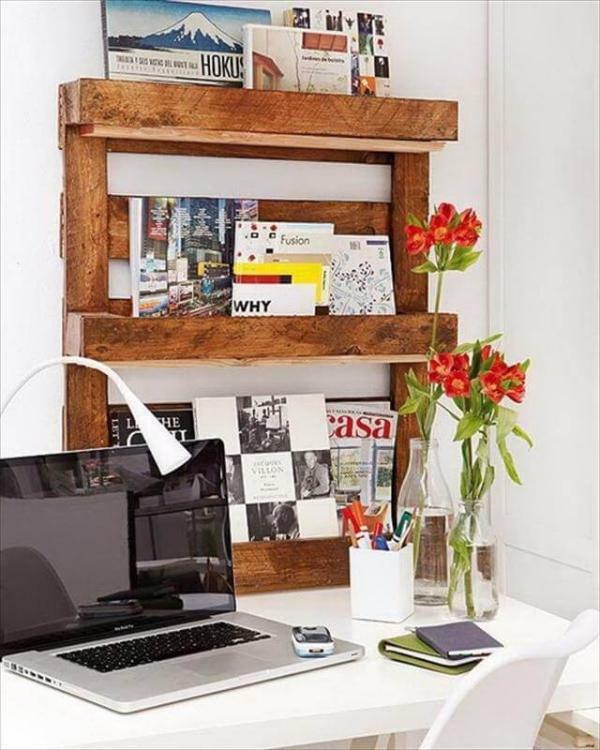 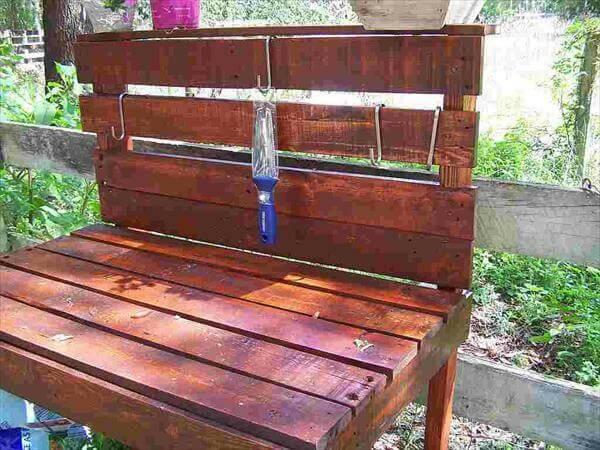 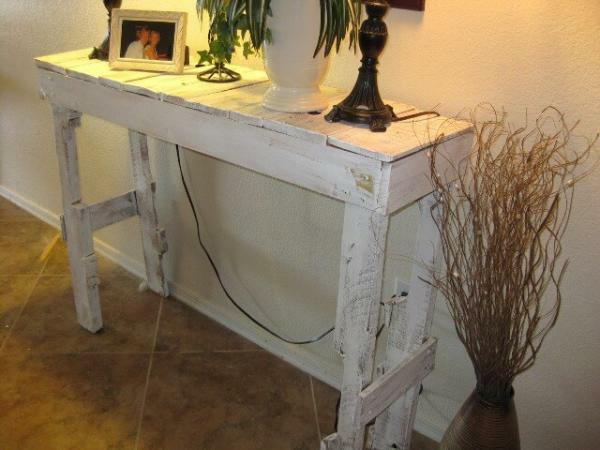 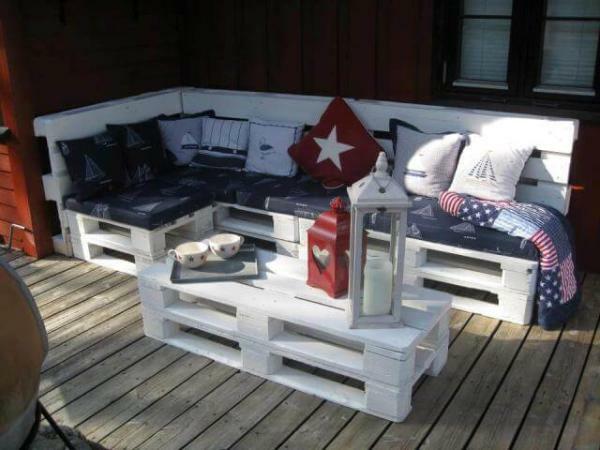 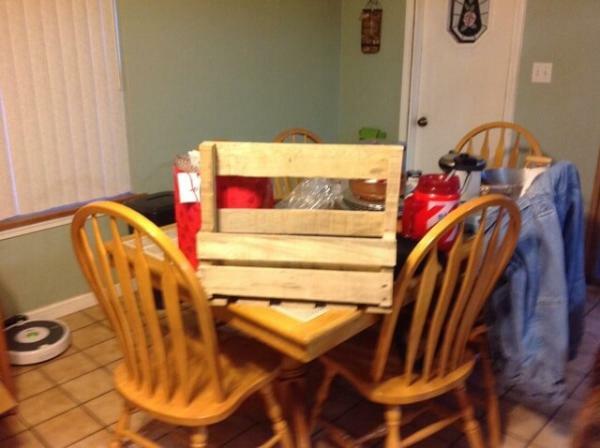 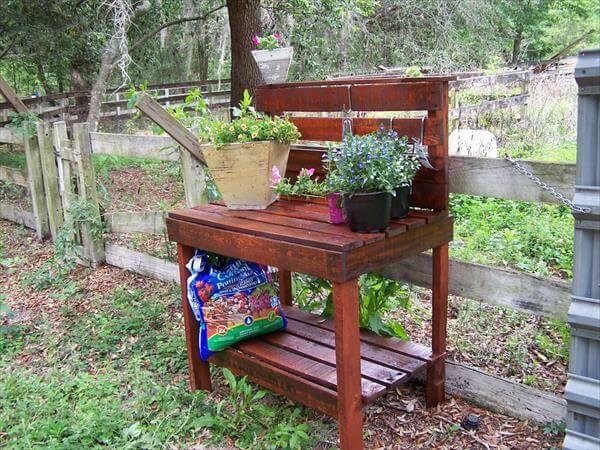 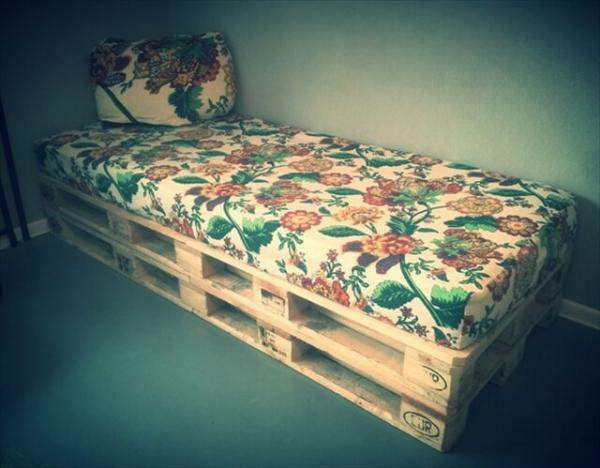 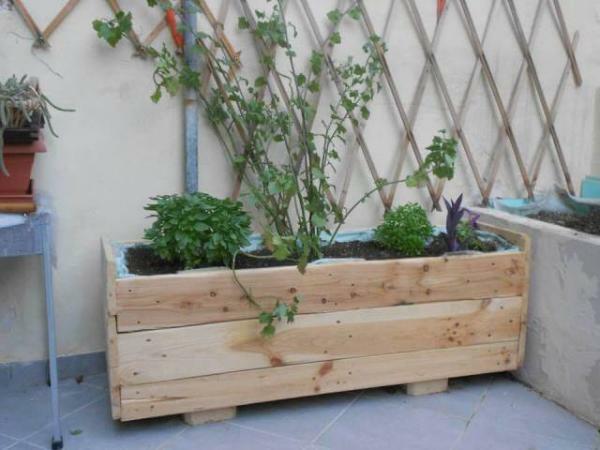 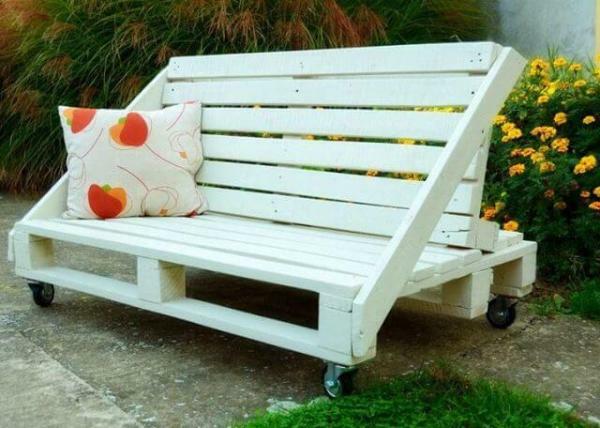 This DIY pallet potting bench has nicely been thought about architects before getting a practical wooden sketch of it. 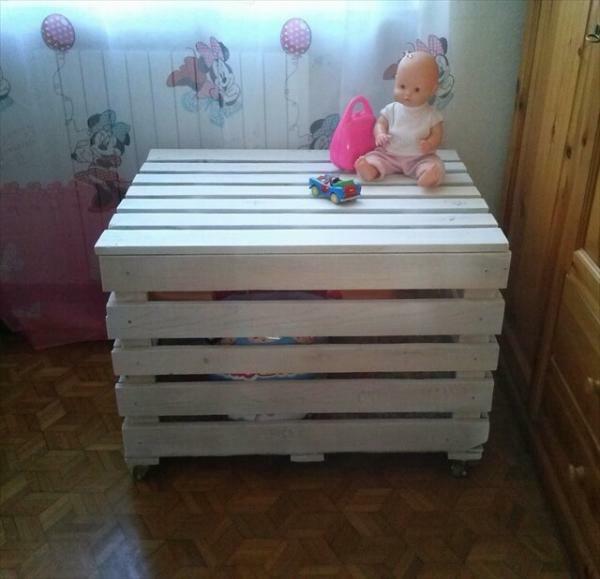 The idea has been transformed into practical and dominant wooden structure in such a way that we are provided with upper and lower shelf which can handle many of pots and tools decoratively. 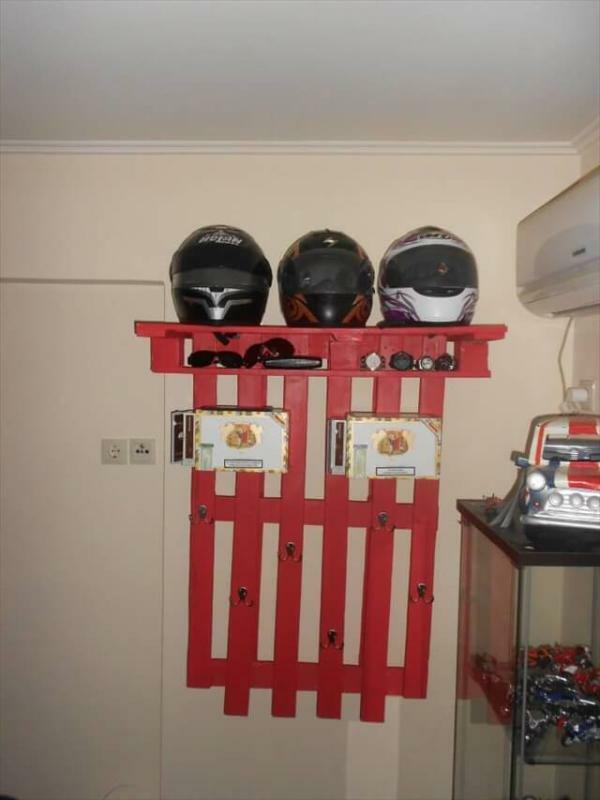 The vertical and alluring back has been constructed with continuous spacing in between the planks to get your desired need and tool hanged with hooks through them. 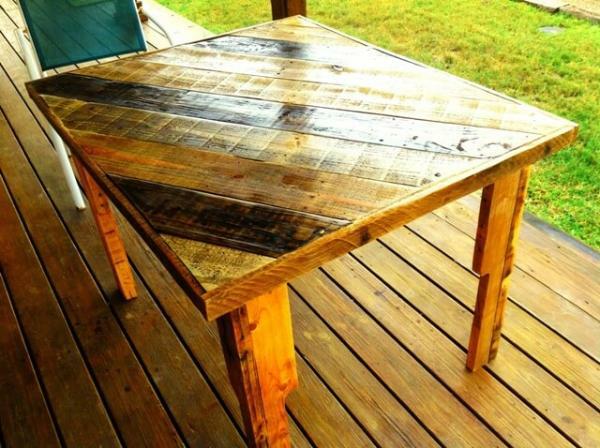 The coating of polyurethane solution has enabled the wooden grace and semi gloss shine, which add the chic factor and smooth character to the surface along with endurance.